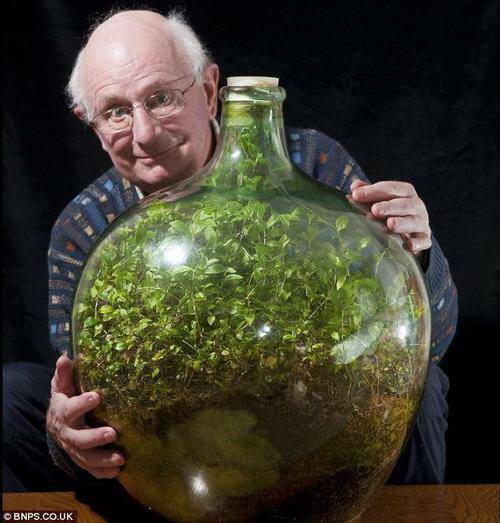 The actual true definition of a terrarium, is an enclosed jar or space, with live plants inside that are left to grow. So yes, a real true terrarium is a sealed one. However, now terrariums have come into fashion so to speak, many often use open jars and bowls like the one pictured. It's also become more of an art, so terrariums are usually decorated, even with stones at least. Whilst many now choose to go further and decorate their plants and jars with figures and create scenes with artificial grass, sand, or even artificial water effects. We will learn more about this in my tutorials; where I will be showing you how to create fake or artificial water effects in your terrarium. Waterfalls, lakes, rivers, or even ponds. A simple true terrarium looks just as amazing. Sometimes you want to skip all the fancy stuff and opt for the minimal natural look and sometimes it's true, nothing can beat it. You can make all sorts of terrariums, mix it up! That's what I love about the terrarium craft; there's just so much to explore and work with!